Posted on 19/05/2013 by Jayson	in Markets Comments and tagged DJI, HSI, STI. DJI – The index has made new high again. 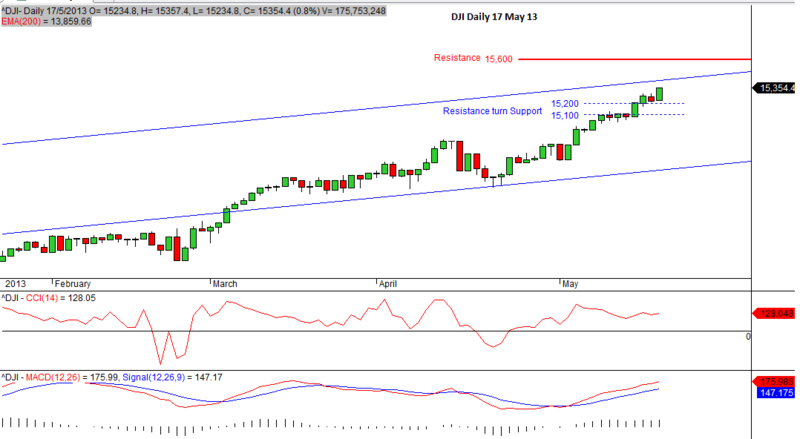 Its previous resistance of 15,100 to 15,200 only held for 5 days and was broken. The momentum is strong. These resistence levels have turned into its immediate support now. The next strong resistance level is at 15,600. HSI – The Hang Seng Index has made a nice recovery but was slightly retracing for the past 1 week. A nice support will be at around 22,520 and the next one at 22,180. 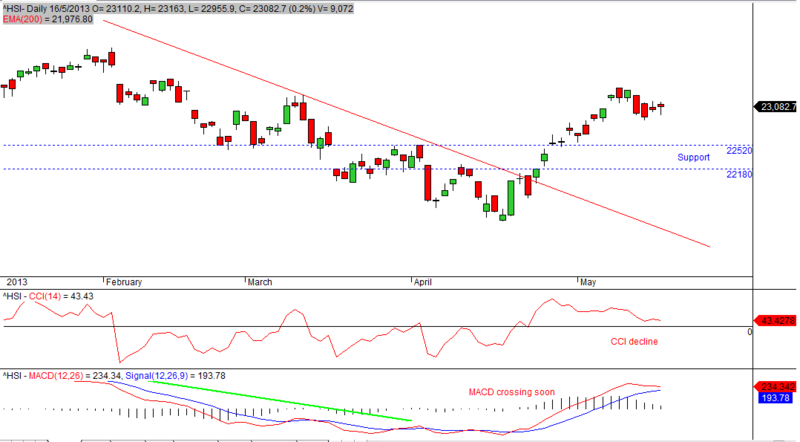 The index will likely to take a break now and consolidate before continuing its direction. STI – Ever since the Straits Times Index broke out of its trading range (that lasted for a few months), it has been inching its way up. It closed at 3,449 on 17 May 13 and reached a high of 3,458 on 20 May 13 (Monday). 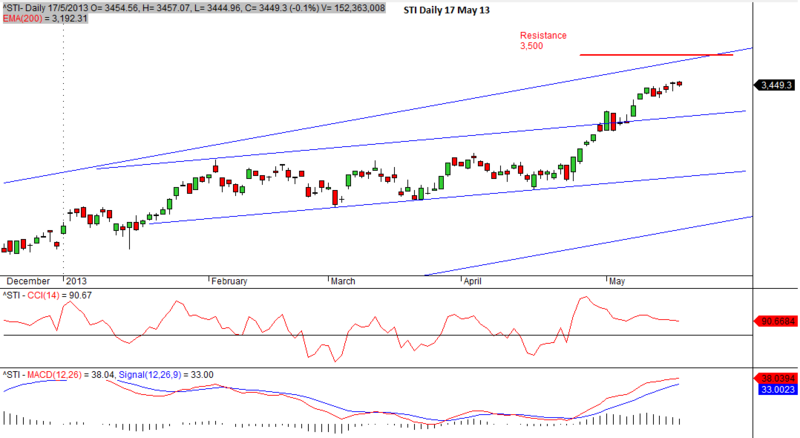 Concidentally, STI’s next resistance is a round number of 3,500 and the immdiately support is at 3,400. Besides technical, these are also psychological support. But prior to reaching the next level, expect some profit taking and consolidation. There are 5 little red candles for the past week although each of them edged up slightly by a few points a day.